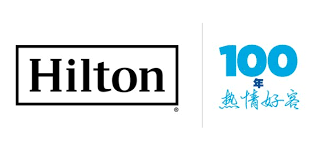 100 Years of Hilton – And Deals Are On Their Way! On 31 May 1919, Conrad Hilton opened his first hotel in Cisco, Texas. As a result, the Hilton chain will be celebrating 100 years of the brand in little over three months’ time. Rest assured that Hilton will not be letting this anniversary go quietly! We are regularly treated to Hilton Honors offers, whether the frequent “double-pointers” or the current 2,000 bonus points per stay. However, we have it on good authority that there are a number of very interesting deals and promotions coming up over the next few months. We can’t say a huge amount more than that. 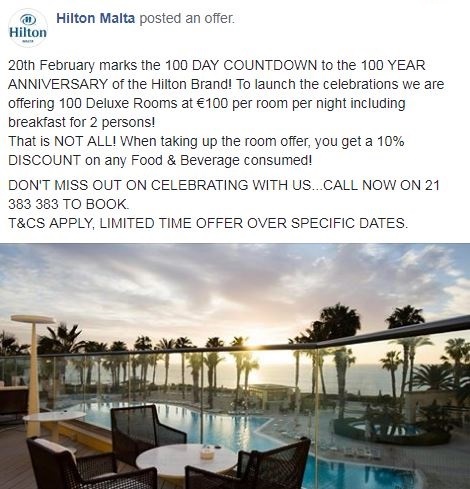 However, rest assured that for the Hilton lovers among us (and yes, I am one of them), these anniversary celebrations could be an extremely interesting time. The key point, of course, is to keep an eye on Insideflyer and the dedicated (and regularly updated) page at hhdiscounts.com, as we will be flagging and analysing each deal as they emerge. To benefit, you will need to call the hotel on 00 356 2138 3383. Given that you’ll also get around 3,000 Hilton Honors points for a one night stay, this is certainly an early one to consider. So, an early heads up – we’ll keep you posted as the celebrations develop. Thank for the heads up on the upcoming Hilton promotions .